தங்களுடைய "நடிகர் திலகம் - இந்தியாவின் ஒரே உலக அதிசயம்" prima facie, மிக நன்றாக இருக்கிறது. சற்றே எளிமைப்படுத்தி எல்லோரையும் சென்று சேரும் வகையில், செம்மைப் படுத்த வேண்டும். ஒரே வரியில் நடிகர் திலகத்தைப் பற்றி சொல்ல வேண்டுமென்றால் உலகின் அனைத்து பள்ளிகளையும், கற்றுத் தேறாமலேயே செய்து விட்ட, நடிப்புக் கலையின் கர்த்தா. கட்டுரை முழுவதும் முடிந்தவுடன், நீண்ட, ஆரோக்கியமான விவாதம் அரங்கேறும் என்று நம்புகிறேன். இதற்கு மேலும் எளிமை படுத்த இயலவே இயலாது. இந்த கரு எனக்கு தோன்றியதே ஒரு வினோதம். எந்த புகழ் பெற்ற உலக நடிகரை பார்த்தாலும், அவர் நடிகர்திலகம் நடித்த பல பாணிகளில் ஒரே ஒரு பாணியைத்தான் தொடவே முடிகிறது என்று கண்டு, அவர் எல்லோருக்கும் மேம்பட்டவர் என்று சொல்லி வந்ததை விஞ்ஞான முறையில் நிரூபிக்கவே இந்த முதல் முயற்சி. எனக்கு தெரிந்த வரை இந்த மாதிரி concept யாருமே எடுத்து செய்யவில்லை. மற்ற நடிகர்களால் ஏதோ ஒரு பள்ளி concept படியே அவர்கள் பாத்திரத்தை அணுகி கொண்டிருந்தார்கள்.கொண்டிருக்கிறார்கள். நமது நடிகர்திலகம் மட்டுமே அனைத்து பள்ளிகனின் பாணியிலும் நடித்த ஒரே உலக நடிகர் என்று நிறுவியது எனக்கு மகா திருப்தி தந்த ஒரு பெருமித நிகழ்வு என் வாழ்வில். உதாரணங் களோடு நிறுவ முயலும்போது எளிமையாக்கி விடுவேன். அது இன்னும் ஓரிரு மாதங்கள் தொடரும். அதுவரை விவாதங்கள் நிற்க தேவையில்லை. சென்று கொண்டே இருக்கலாம். Last edited by Gopal,S. ; 30th March 2013 at 04:32 PM. அனைத்து நடிகர் திலகத்தின் ரசிகர்களும் நடிகர் திலகம் தான் உலகப் பெரு நடிகர் என்று சொல்கிறோம். இருப்பினும், உலகக் கோட்பாடுகளை வைத்து இதை ஆணித் தரமாக நிரூபிப்பதற்குத் தேவைப் படுகிற கட்டுரைகளைத் தான் அனைவரும் ஏற்கின்ற வகையில் எழுத முடியவில்லை. அந்த வகையில், இந்தக் கட்டுரை இதற்குத் துணை புரியும் என்று பரிபூர்ணமாக நம்புகிறேன். நான் ஏன் எளிமையாக இருக்க வேண்டும் என்று சொன்னேன் என்றால், அது தான் எல்லோரையும் சென்று சேர வழி வகுக்கும். ஒரு Documentation Expert -ஐ வைத்து அதை செய்யலாம். What is it? The acting technique developed by Viola Spolin uses improvisation and some 200 plus theater games and acting exercises to access the actor's creativeness. Through play, the actor can free his instrument and become more spontaneous, as well as work on specific issues like concentration, characterization and conflict. What can you expect? A lot of improvisation work, from physical improvisation to singing and word games. Most of the games are done in groups so there is a strong sense of ensemble. Sample Acting Exercise. Two actors face each other. One imitates the other's gestures but both try to conceal from the audience who is initiating the movement and who is following. This mirror exercise is a great way to work on concentration. What is it? This acting technique often taught alongside the Viewpoints method is also very focused on the body, especially the lower body and the feet, the actor's "roots". This acting technique is grounded in ballet, Greek and Japanese theater, and martial arts. What can you expect? A rigorous training that at times may feel more like a martial arts class then an acting class. The training focuses on developing the actor's center through a series of walking and stomping exercise. You will also work intensely on vocal exercises and concentration through stillness. Below is a video on the Suzuki acting technique you may find interesting. It talks about how Suzuki acting training challenges the actor and helps him or her with body awareness and focus. It explains how it helps actors reach their souls through the body. Why not reproduce the original English definition alongside your explanation in Tamil of the same? Viola Spolin is the internationally recognized originator of Theater Games – the basis of improvisational theater. Along with her son, Paul Sills, Viola Spolin created the techniques utilized by the cast of Chicago’s Second City as well as every other improvisational comedy troupe ever since. Tadashi Suzuki is the founder and director of the Suzuki Company of Toga (SCOT) based in Toga Village, located in the mountains of Toyama prefecture. He is the organizer of Japan’s first international theatre festival (Toga Festival), and the creator of the Suzuki Method of Actor Training. 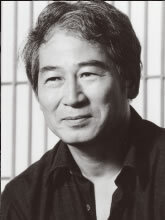 Suzuki also plays an important role with several other organizations: as General Artistic Director of Shizuoka Performing Arts Center (1995~2007), as a member of the International Theatre Olympics Committee, as founding member of the BeSeTo Festival (jointly organized by leading theatre professionals from Japan, China and Korea) and as Chairman of the Board of Directors for the Japan Performing Arts Foundation, a nation-wide network of theatre professionals in Japan. Suzuki’s works include “On the Dramatic Passions”, “The Trojan Women”, “Dionysus”, “King Lear”, “Cyrano de Bergerac”, “Madame de Sade” and many others. Besides productions with his own company, he has directed several international collaborations, such as “The Tale of Lear”, co-produced and presented by four leading regional theatres in the US; “King Lear”, presented with the Moscow Art Theatre; “Oedipus Rex”, co-produced by Cultural Olympiad and Düsseldorf Schauspiel Haus; and “Electra”, produced by Ansan Arts Center/Arco Arts Theatre in Korea and the Taganka Theatre in Russia. Suzuki has articulated his theories in a number of books. A collection of his writings in English, The Way of Acting is published by Theatre Communications Group (US). He has taught his system of actor training in schools and theatres throughout the world, including The Julliard School in New York and the Moscow Art Theatre. The Cambridge University Press published The Theatre of Suzuki Tadashi as part of their Directors in Perspective series, featuring leading theatre directors of the 20th Century. This series includes works on Meyerlhold, Brecht, Strehler, Peter Brook and Robert Wilson among others. Not just one of the world’s foremost theatre directors, Suzuki is also a seminal thinker and practitioner whose work has a powerful influence on theatre everywhere. Suzuki’s primary concerns include: the structure of a theatre group, the creation and use of theatrical space, and the overcoming of cultural and national barriers in the interest of creating work that is truly universal. Suzuki has established in Toga one of the largest international theatre centers in the world. Surrounded by the beautiful wilderness of Toga, the facility includes six theatres, rehearsal rooms, offices, lodgings and restaurants, etc. Suzuki’s activities, both as a director creating multilingual and multicultural productions, and as a festival producer bringing people from throughout the world together in the context of shared theatrical endeavor, reflect an aggressive approach to dealing with the fundamental issues of our times. Thank you Ragavendar Sir. But I felt this school is a meaningless to mention for a Boys' Company seasoned artist. He received far superior Training during his childhood . Other schools are more important . I ponder more on relevance to NT in coming postings. Sanford Meisner is one of the most important and influential acting teachers of the Twentieth Century. He defined acting as doing things truthfully under imaginary circumstances. By 1930, the most respected and influential theater company in American history formed called The Group Theater assembling such luminaries as Harold Clurman, Lee Strasberg, Stella Adler, Clifford Odets, Morris Carnovsky and Sanford Meisner. They were pioneers of what would become an “American acting technique” derived from the teachings of Russian actor and director Constantin Stanislavski. The "Stanislavski System" inspired audiences with performances of raw power, realism, and emotional truth. While Strasberg focused on the Sense Memory technique using events in one’s past as a way of emotionalizing, Meisner developed his technique using Stanislavski’s revised method. Rather than delving exclusively into one’s past memories as a source of emotion, one could more effectively summon up the character’s thoughts and feelings through the concentrated use of the imagination and the belief in the given circumstances of the text. Meisner defined acting as doing things truthfully under imaginary circumstances and his technique is still known for its depth, reliability and balanced approach. Sandy Meisner taught at the legendary Neighborhood Playhouse in New York City for more than 50 years. His students include Paul Newman, Robert Duvall, Warren Beatty, Diane Keaton, Joanne Woodward, Eli Wallach, Anne Jackson, and Steve McQueen. Joanne Baron studied under Sandy Meisner in his private class, having originally trained with renowned acting teacher, William Esper, the head teacher of Sanford Meisner's Neighborhood Playhouse in New York City for over 14 years. William Esper eventually formed the William Esper Studio in New York City where Ms. Baron trained with him to act and subsequently become an instructor. After several years teaching with Mr. Esper, she opened The Joanne Baron Studio in New York and sometime after, Ms. Baron created The Joanne Baron/D.W. Brown Studio in Santa Monica, California with her husband; writer, director, and actor, D.W. Brown. Today, the Joanne Baron/D.W. Brown Studio continues this legacy and is teaching the same body of work that Meisner and Esper taught: a specific training program designed to create an emotionally alive actor of depth, imagination, and truth.